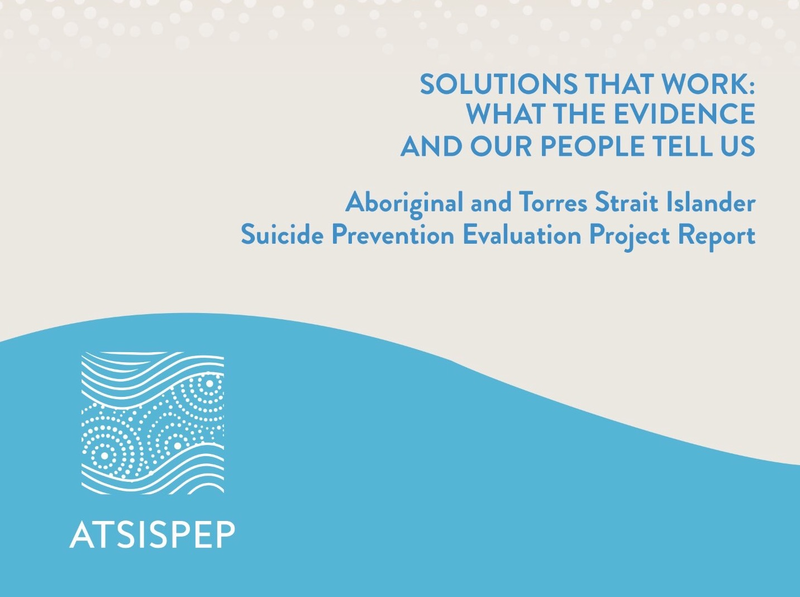 “The ATSISPEP report was commissioned by the Coalition Government to look into what is working and what is not working in the services we fund to help prevent suicide in Indigenous communities,” Minister Scullion said. “It breaks my heart that almost every one of the communities I have visited has been touched by suicide. 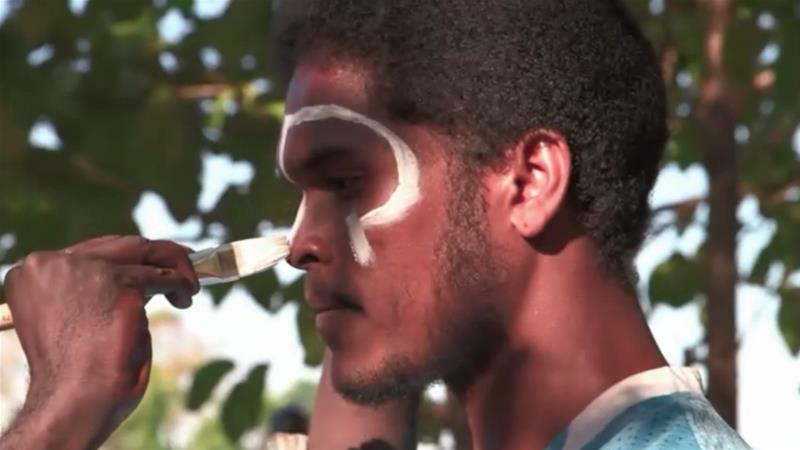 We know that Indigenous suicide rates are double that of non-Indigenous people, five times higher for young Indigenous Australians and the rate in the Kimberley is one of the highest nationally. “This report is a critical first step in helping to understand what works in Indigenous communities to tackle what has become an epidemic in some places. The report was released at a ceremony in Parliament House attended by members of the project team, key stakeholders, the Minister for Indigenous Affairs, Nigel Scullion, Minister for Health and Aged Care, Sussan Ley, and Assistant Minister for Health and Aged Care, Ken Wyatt. Picture above At launch at Parliament House with politicians from all parties and special guests the family of Norma from Leonora who lost a son not long ago and Lena from Fitzroy Crossings who lost a daughter. Minister Scullion said the Government welcomed the report, but did so with a very heavy-heart. Minister Ley said the Government had worked closely with the report’s authors to ensure recommendations could be quickly implemented on the ground. “The Coalition Government has committed to trialling the community-led approaches recommended in the report,” Minister Ley said. 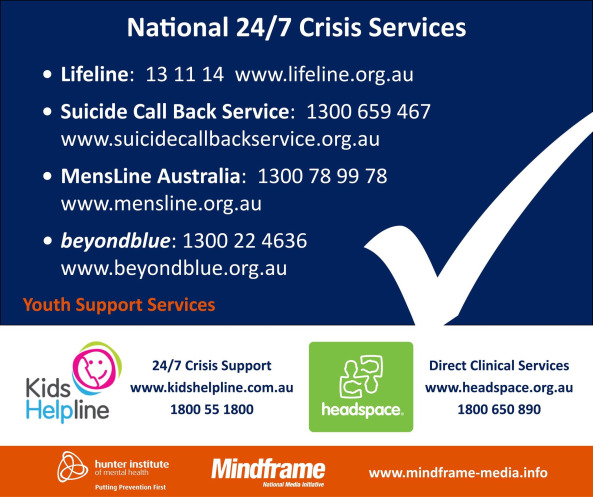 “This is reflected in our election commitment to invest $192 million in mental health and suicide prevention, which includes the establishment of 12 suicide-prevention trial sites, including one in the Kimberley. “The Government is also establishing a Centre of Best Practice in Aboriginal and Torres Strait Islander Suicide Prevention to continue to build the evidence base of what works to ensure we are continuously learning and adapting to what is working on the ground. “The report’s findings will also inform future funding decisions for suicide prevention and mental health programmes and how best to deliver them for Indigenous communities.” Assistant Minister Wyatt thanked the University of Western Australia’s School of Indigenous Studies for its work on the project. “Your report shows that Aboriginal and Torres Strait Islander Australians want to have their health needs met in ways that are tailored to their circumstances and that recognise their unique needs, including their cultural needs,” Assistant Minister Wyatt said. ATSISPEP is one of several Indigenous-specific suicide prevention initiatives supported by the Coalition Government. 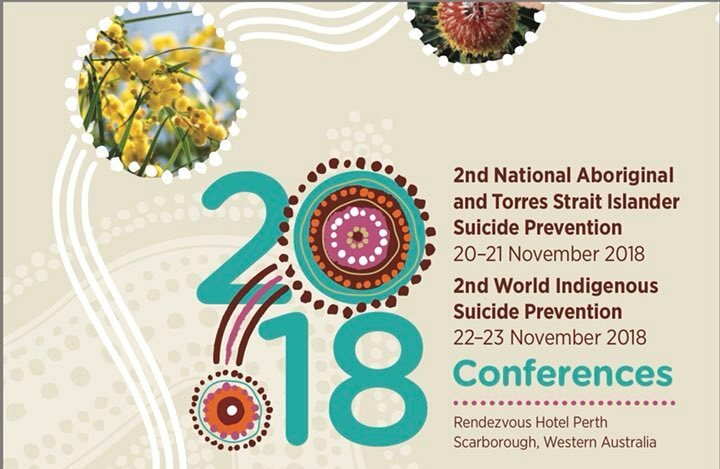 Others include the Critical Response Project which is addressing suiciderelated trauma in Western Australia and the Aboriginal and Torres Strait Islander Mental Health First Aid training which is being rolled out in more than 60 remote locations across Austra lia. 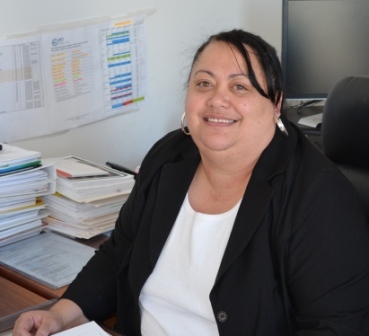 Pictured above NACCHO CEO Ms Lisa Briggs appointed to Aboriginal and Torres Strait Islander Mental Health and Suicide Prevention Advisory Group. 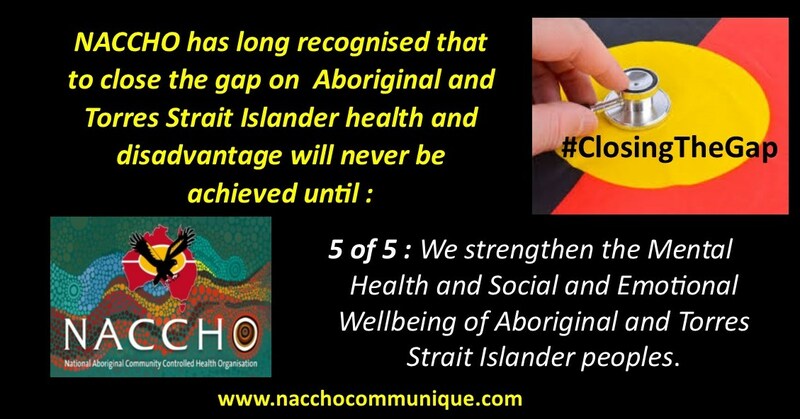 NACCHO as a member The Close the Gap Campaign today welcomed a significant mental health milestone: the establishment of the Aboriginal and Torres Strait Islander Mental Health and Suicide Prevention Advisory Group. The new ministerial advisory body, co-chaired by Dr Tom Calma AO and Professor Pat Dudgeon, is the first of its kind in Australia. The other members of the new Group are (alphabetically): Mr Tom Brideson, Ms Lisa Briggs, Mr Ashley Couzens, Ms Adele Cox, Ms Katherine Hams, Ms Victoria Hovane, Professor Ernest Hunter, Mr Rod Little, Associate Professor Peter O’Mara, Mr Charles Passi, Ms Valda Shannon and Dr Marshall Watson. It will provide expert advice to government on Aboriginal and Torres Strait Islander social and emotional wellbeing, mental health and suicide prevention. Close the Gap co-chair and Social Justice Commissioner, Mick Gooda, said the group will help drive reform in mental health and suicide prevention for Aboriginal and Torres Strait Islander people. 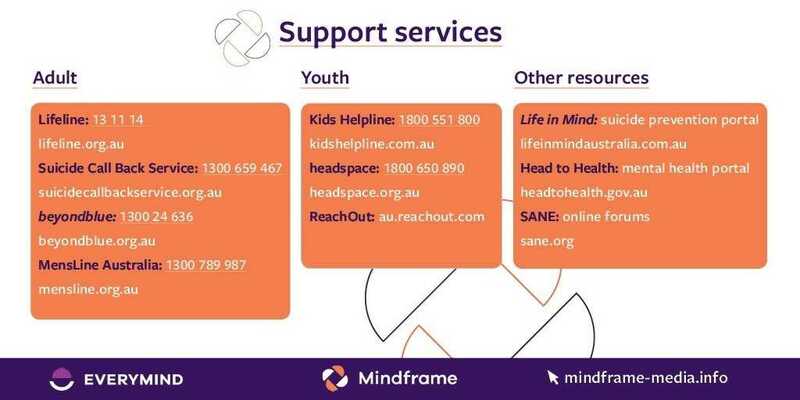 “Improving mental health and suicide prevention is fundamental to improving Aboriginal and Torres Strait Islander health overall, and to closing the health and life expectancy gap with other Australians,” Mr Gooda said. Mr Gooda said the advisory body would help ensure Aboriginal and Torres Strait Islander people benefit from national mental health reforms and the significant investment in mental health in recent years. 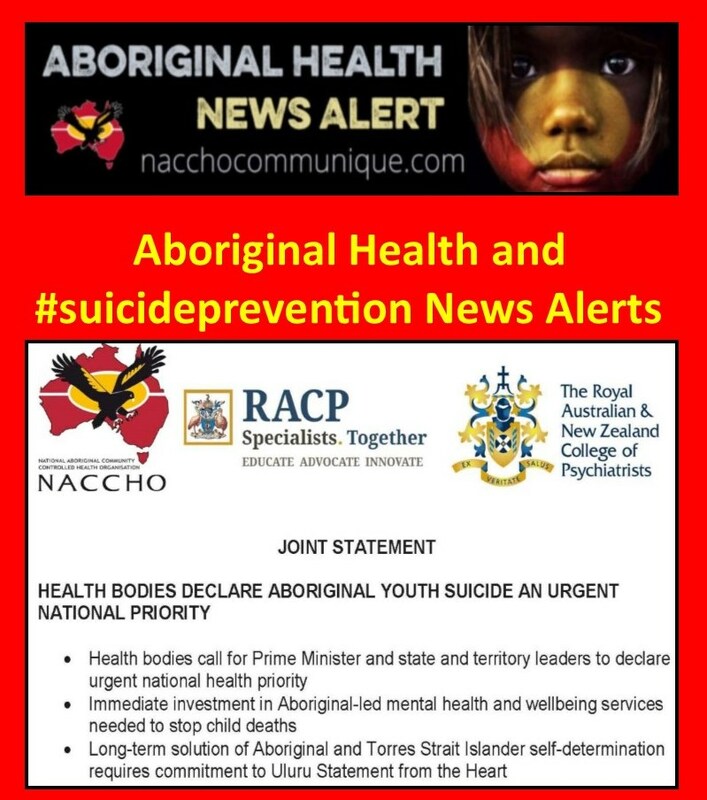 He said the advisory body would also improve strategic responses to suicide and mental health by enabling partnerships between government and Aboriginal and Torres Strait Islander experts in social and emotional wellbeing, mental health and suicide prevention. “Aboriginal and Torres Strait Islander people are experiencing mental health problems at almost double the rate of other Australians. “Addressing difficult and entrenched challenges like this mental health gap requires long term and sustained commitment and a truly bipartisan approach. 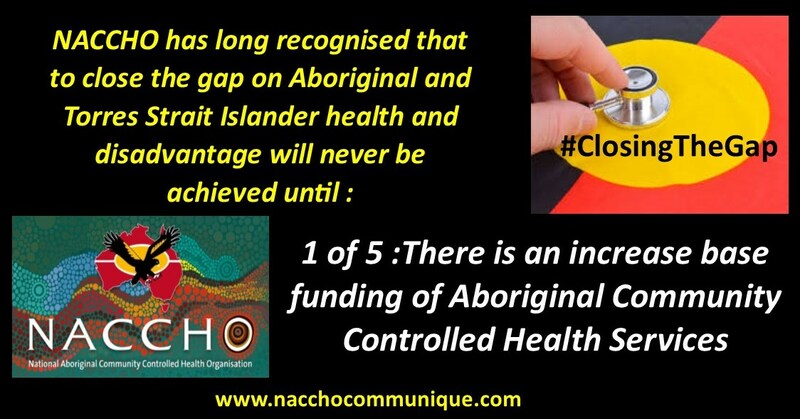 “It is particularly important as we move into a Federal election that closing the gap remains a national project that is supported and sustained beyond electoral cycles,” Mr Gooda said. A new expert group has been set up to advise the Federal Government on improving mental health and suicide prevention programs for Aboriginal and Torres Strait Islander people. The Aboriginal and Torres Strait Islander Mental Health and Suicide Prevention Advisory Group will be chaired by two eminent Aboriginal experts in the field, Prof Pat Dudgeon, recognised as Australia’s first Indigenous psychologist, and human rights campaigner Dr Tom Calma AO, the new chancellor of the University of Canberra. The new Group will advise on practical and strategic ways to improve Indigenous mental health and social and emotional wellbeing. The Group met for the first time in Canberra today to discuss its priorities, including implementation of the recently released National Aboriginal and Torres Strait Islander Suicide Prevention Strategy. Also on the agenda for the inaugural meeting are the Aboriginal and Torres Strait Islander Health Plan and the renewed Aboriginal and Torres Strait Islander Social and Emotional Wellbeing Framework. Professor Dudgeon is from the Bardi people of the Kimberley and is known for her passionate work in psychology and Indigenous issues, including her leadership in higher education. Currently she is a research fellow and an associate professor at the University of Western Australia. 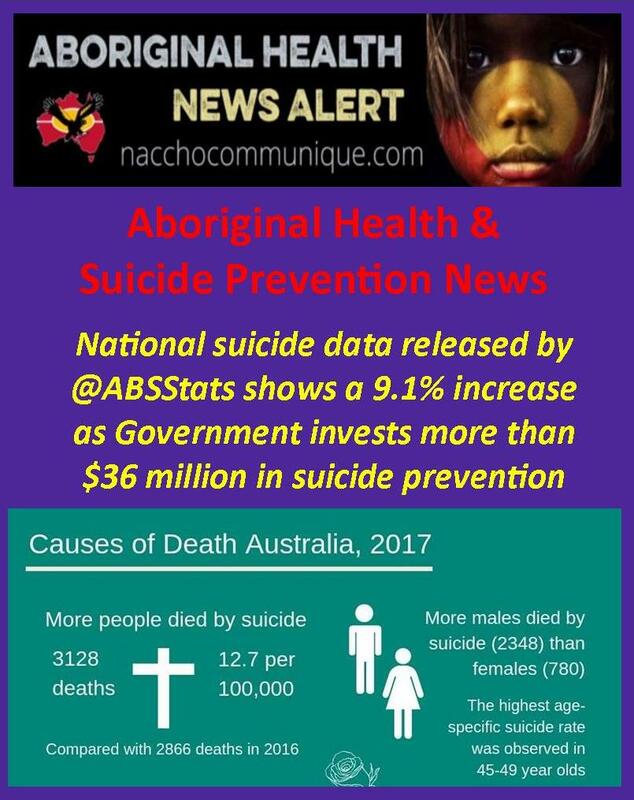 The Federal Labor Government’s commitment to reducing high levels of suicide within Indigenous communities was highlighted by its development and recent release of Australia’s first National Aboriginal and Torres Strait Islander Suicide Prevention Strategy. 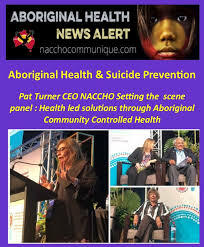 The Strategy is supported by $17.8 million over four years in new funding to reduce the incidence of suicidal and self-harming behaviour among Indigenous people. 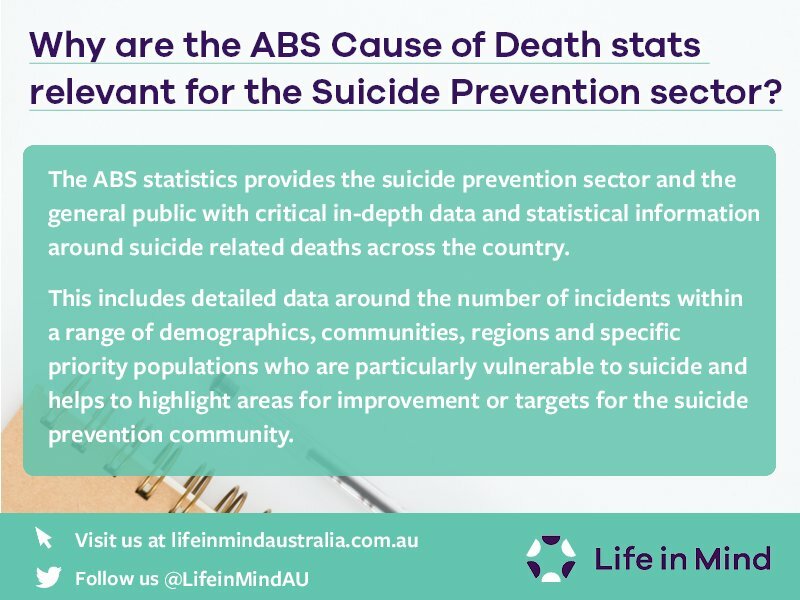 This builds on the Labor Government’s broad strategic investment in suicide prevention, as outlined in the Taking Action to Tackle Suicide package and the National Suicide Prevention Program which, together, include $304.2 million in vital programs and services across Australia. $4.6 million for community-led suicide prevention initiatives. $150,000 for enhanced psychological services for Indigenous communities in the Kimberley Region, through the Access to Allied Psychological Services program. $6 million for targeted suicide prevention interventions. Up to $4.5 million in funding for projects to tackle the high rate of Indigenous suicide are now available for application until 21 December. Minister for Mental Health Mark Butler said community-led projects targeting suicide prevention were an important part of addressing issue. “Five community-based Indigenous suicide projects received $1.5 million last year and now a further $4.5 million is being offered to help fund further community-led projects to tackle Indigenous suicide,” Mr Butler said. 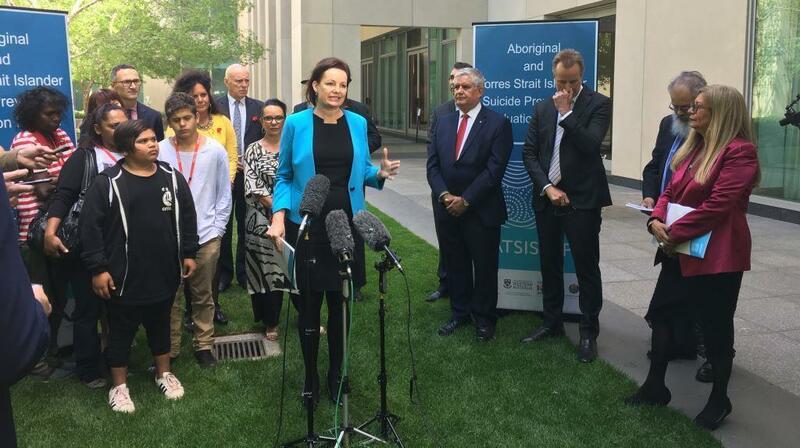 This funding compliments the Federal Government’s work on suicide prevention for indigenous communities including the establishment of an advisory group to inform the development of Australia’s first national Aboriginal and Torres Strait Islander Suicide Prevention Strategy.